CANImmunize is a digital tool for Canadians that securely stores your vaccination records and helps you get vaccinated on time created by Dr. Kumanan Wilson and his team at The Ottawa Hospital mHealth Lab. CANImmunize has grown to become a national platform, allowing people to securely manage their records on their Android and iOS devices, and soon on the web. Minimize your online search for the most credible and current health-related information and with a preventative focus. Facilitating conversation and encouraging open dialogue across all online platforms, howreyou.com is a central hub for health and wellness information. Make the world a healthier place to travel by protecting and improving the well-being of travellers with impartial health information and our worldwide network of English-speaking doctors committed to helping our members. iMD is a vast library of visual medical content that healthcare professionals can use to visually educate patients quickly and easily. Mediaplanet specializes in the creation of content marketing campaigns released through multimedia platforms, providing readers with insightful and educational editorial in the fields of their interest, designed to motivate them to take action. Montréal EnSanté provides readers with an array of health and wellness information. Every issue of Montréal enSanté magazine is loaded with expert advice from medical staff, registered dieticians, fitness trainers and laypeople who love the city we call home. Myshot.ca is an online appointment booking system that allows patients to quickly schedule their seasonal flu shot appointment from the comfort of their own home and easily obtain a confirmation ticket. 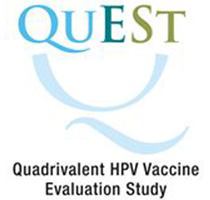 Quest is a Canada-wide study designed to evaluate whether 2 doses of the HPV vaccine are just as effective as 3 doses at preventing Human Papillomavirus (HPV) infection and cervical cancer. Transat inspires trust in travellers by giving them an experience that is extraordinary, enjoyable and secure.